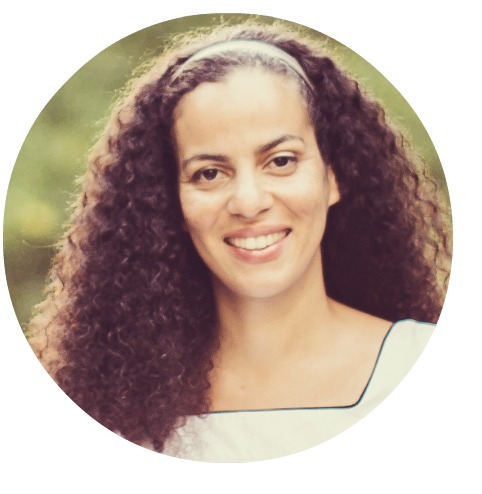 Welcome to the “Sew Pretty T-Shirt Dresses” blog tour, featuring finished projects and giveaways from Sweet Seams’ latest book. The designers over at NYC-based Sweet Seams wanted to create a collection of fast, fun, and inexpensive dresses to make for their daughters, granddaughters, nieces and god-daughters. 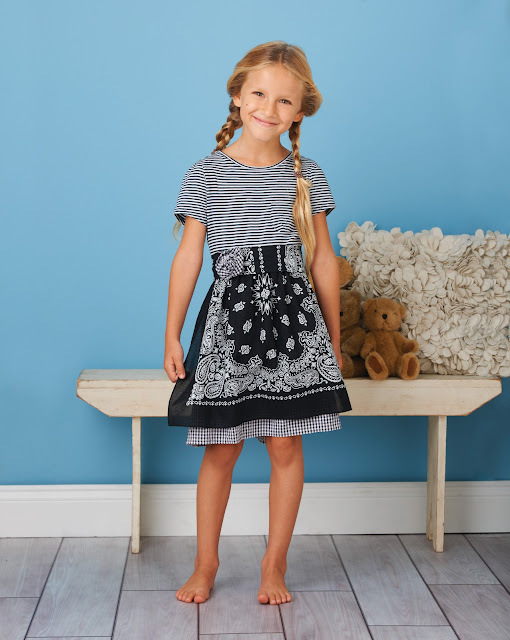 The dresses, which all start with a simple T-shirt, were inspired by all the little girls in their lives who feel special in projects that were made especially for them. Crafters can upcycle any T-shirt, maybe even an old favorite that doesn’t quite have the same fit anymore or one that’s stained near the hem. 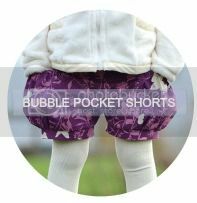 With 28 very different styles to choose from, anyone can find a design that fits the little girl in their own life. When Sixth & Spring Books recently invited me to participate in this tour, I was eager be a part of it and promote this great book. I love projects that are quick & easy-to-make, and this book is full of great ideas that allow you to not only make use of an existing t-shirt (can't get much easier than that!) but then, to customize the garment with your own fabric choices and embellishments. 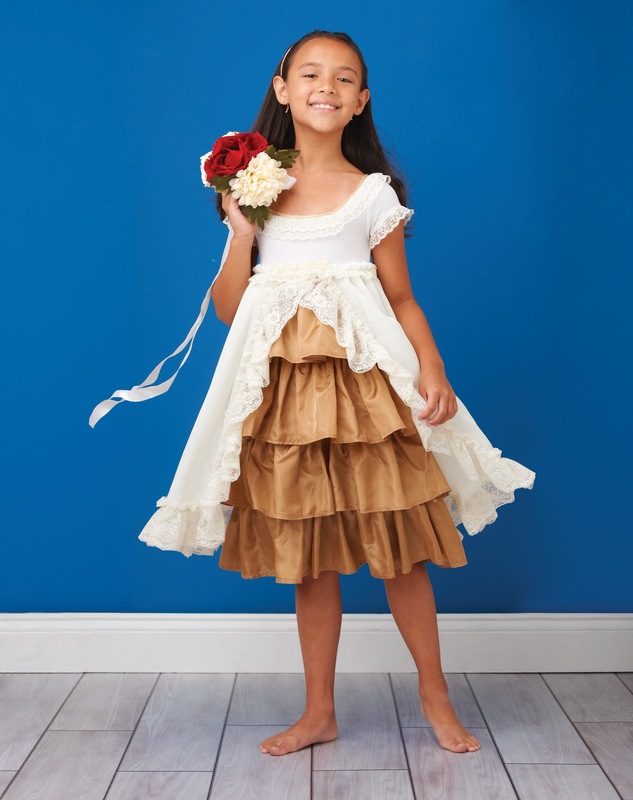 The designs are for girls ages 2 to 8 and range from party dresses to tunics. There really is something for everyone in this book! 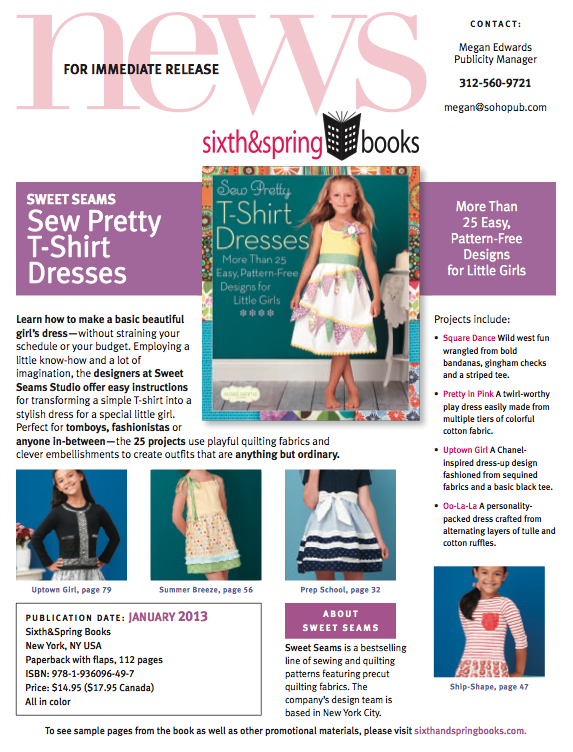 One lucky E&E reader is going to receive a copy of Sew Pretty T-Shirt Dresses from Sixth & Spring Books! Enter with Rafflecopter below and earn up to four chances to win. 87 comments on "Sew Pretty T-Shirt Dresses Blog Tour and Giveaway"
I love a good competition...and this is a good competition! That looks like a wonderful organization, Pam! I'm loving this book....my daughter, nieces and a few friends daughters would benefit. I'd love to sew several of these dresses for my granddaughters. I have three beautiful grand-daughters to sew for! I'd sew dresses for my daughter. I have a 19 month old girl and I have been going crazy this spring sewing for her. Now that she is walking, it is so much fun to sew a cute dress. Thanks for the chances to win this adorable book! Did this for my daughters 25 years ago (Drop waist tshirt dress with painted top). Would love to do a tshirt dress again! This looks like an awesome book. Would love to make some more dresses for my girls. My little girl would love some of these dresses...particularly the one with the bubble skirt! I would love to win this. I have 4 girls, lots of friends and cousins with girls to sew for. I would make these for my granddaughter,Kamryn. Thank you for the chance to win. T-shirt dresses for the girls! Cute! I was just trying to look up internet advice on doing this exact type of little project without those puckery seams that come from attaching a woven to a knit! I would be making the t shirt dresses for our lovely granddaughters that are 5 and 2, they love to wear dresses and I am sure they will be thrilled to receive more that are made by me. I'd sew for my girl, she loves dresses! I have a new Granbaby girl & she has enough clothes to last to about a year or so but has nothing yet for 2T & up. I LOVE that age!! Thanks for a shot at this awesome book!! My 3 year old would FLIP for that royal wedding dress! I have two daughters who'd both love new dresses! This book looks awesome. Thanks for hosting! I'd love to make one for both my Granddaughters. That looks like an awesome must have book. I would certainly sew for my daughter! I would love to win this and sew some dresses for my daughter. My daughter and two nieces! I would love to make tshirt dresses for my daughters to run and play in this summer! My sister (6) and nieces (11 and 8) would LOVE these! Beautiful!! My first grader loves the clothes I sew for her, and I love to sew for her! These are adorable and I just finished a dress for my daughter tonight, ready for a new one! What an awesome idea! T-shirts. So creative. This is an amazing book!! Thanks for putting it together! Cool book! My daughter would love those dresses. 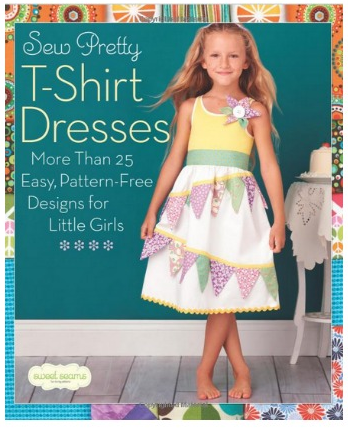 I would love to sew some of these dresses for my daughters, ages 3 & 5. Thanks for the giveaway! My niece loves this type of dresses. I can't wait to read this book! I'd sew a few dozen for my niece. I love to make her new cute clothes that she'll actually wear! I'd be sewing up a storm for my two daughters and my 9! nieces. I would wear this book out! They're all so adorable. For my daughter. :) I already love making t-shirt dresses and definitely could use some extra inspiration and pointers so winning this book would be awesome! With two daughters I would love to have this! I would sew some for the charity "Dress A Girl Around The World"
I'd love to sew for my daughter! I have three wonderful granddaughters who I would LOVE to make dresses for!! For my little niece to celebrate her kindergarten graduation day. This is great! My daughter will love these! All 3 of my girls! What a fun give-a-way! I have 4 little girls who love dresses! Looks like a fun book! I would love to sew matching dresses for my 4 year old daughter and 2 year old granddaughter. I would sew oodles of dresses for my two little ladies! They love dresses! 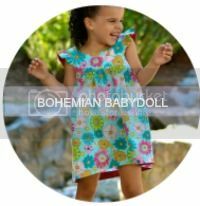 I would love to sew a dress for my daughter. I am thinking of sewing one for her for her birthday in a few weeks! I would sew one for my daughter and then one for all of her friends! How cute! I can never sew enough dresses for my daughter! I want to sew these for my daughter and my nieces!!!! I just pleased to get all these information about that subject. Really I was looking forward to read about it. Your book would inspire me to sew garments again for my GD. Instead I sew quilts. Need to get my juices going again. Thanks. Great post! I would love to sew some of these party dresses for kids, ages 2,3,4 & 5. Thanks for sharing!